Kentucky Property Manager Insurance. Whether you manage a commercial or residential property, you are becoming increasingly apt to be sued. Property managers are often at the center of claims for various occurrences, including people becoming injured on the property. Even though you are only there to care for the building or complex on behalf of whoever owns it, if something goes awry, you can - and oftentimes, will - be looked at as the responsible party. 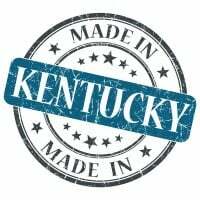 Get the Kentucky property manager insurance coverage that will keep you and your business protected. Kentucky property manager insurance protects your business from lawsuits with rates as low as $27/mo. Get a fast quote and your certificate of insurance now. Property managers are tasked with finding tenants and keeping them. They have the power to negotiate leases, sign legal documents, and enforce the provisions of leases on behalf of their employers. They can also collect rent, order repairs for the premises, conduct maintenance, ensure that guests and tenants are safe, and more. With each of the activities listed above, there is potential liability for the property manager. Kentucky property manager insurance is what protects your business against lawsuits and claims. Request a free Kentucky Property Manager insurance quote in Alexandria, Ashland, Barbourville, Bardstown, Beaver Dam, Bellevue, Benton, Berea, Bowling Green, Brandenburg, Cadiz, Calvert, Campbellsville, Carrollton, Central, Cold Spring, Columbia, Corbin, Covington, Crescent Springs, Crestview Hills, Crestwood, Crittenden, Cynthiana, Danville, Dawson Springs, Dayton, Douglass Hills, Eddyville, Edgewood, Elizabethtown, Elsmere, Eminence, Erlanger, Flatwoods, Flemingsburg, Florence, Fort Mitchell, Fort Thomas, Fort Wright, Frankfort, Franklin, Georgetown, Glasgow, Graymoor-Devondale, Grayson, Greenville, Harrodsburg, Hartford, Hazard, Henderson, Highland Heights, Hillview, Hodgenville, Hopkinsville, Hurstbourne, Independence, Indian Hills, Irvine, Jeffersontown, La Grange, Lakeside Park, Lancaster, Lawrenceburg, Lebanon, Leitchfield, Lexington-Fayette, London, Louisville, Ludlow, Lyndon, Madisonville, Marion, Mayfield, Maysville, Middlesborough, Middletown, Monticello, Morehead, Morganfield, Mount Sterling, Mount Washington, Murray, Newport, Nicholasville, Oak Grove, Owensboro, Paducah, Paintsville, Paris, Park Hills, Pikeville, Prestonsburg, Princeton, Prospect, Providence, Radcliff, Richmond, Russell, Russellville, Scottsville, Shelbyville, Shepherdsville, Shively, Simpsonville, Somerset, Southgate, Springfield, St. Matthews, Stanford, Stanton, Taylor Mill, Union, Versailles, Villa Hills, Vine Grove, Walton, West Liberty, Wilder, Williamsburg, Williamstown, Wilmore, Winchester and all other cities in KY - The Bluegrass State.